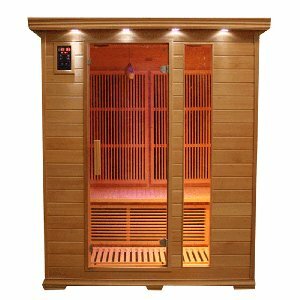 Traditional saunas use steam to warm the air, which then raises your body temperature, drawing out impurities and boosting circulation. However, heating the air in order to heat the body in this way requires a very high temperature, thus using more energy. 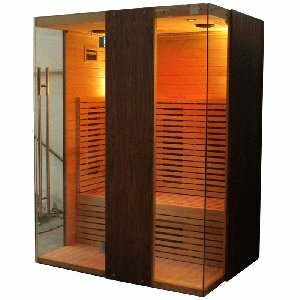 An infrared sauna, on the other hand, warms the body directly by penetrating it with infrared rays. 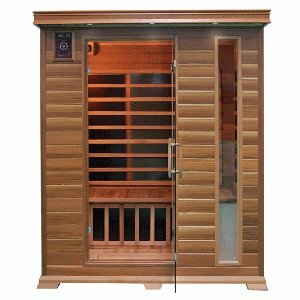 This allows you to feel the same benefits as a traditional sauna but at a lower heat, therefore using less energy and making infrared saunas more cost-effective to own. 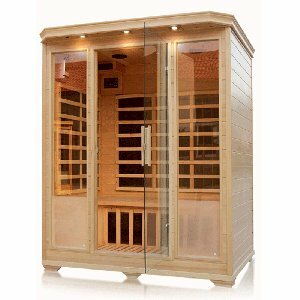 At UK Saunas we specialise in infrared saunas, and we offer a wide variety of different designs in sizes from one person to four person. 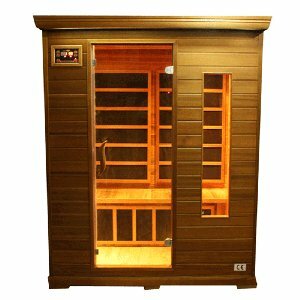 Here you'll find our three person saunas, allowing you to share the sauna experience with others in the comfort of your own home. 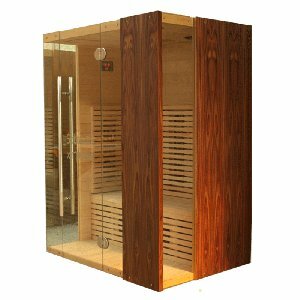 All of our saunas are carefully manufactured to a high standard by highly skilled craftsmen, and our strict quality control procedures ensure that your sauna leaves our dedicated factory in perfect condition. We offer high quality products and fully comprehensive after sales care service for your complete peace of mind. 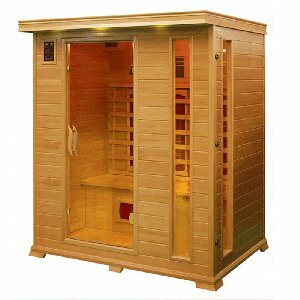 We produce each of our 3 person saunas according to your individual specifications, and your sauna will be delivered to you in approximately 12 weeks, all you need to do is secure your sauna with a deposit of £100 upon ordering.